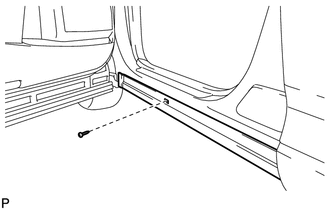 (a) Put protective tape around the body rocker panel moulding assembly. (d) Remove the 7 clips. 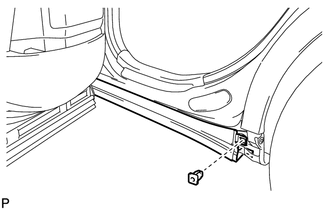 (e) Disengage the 7 clips to remove the body rocker panel moulding assembly. 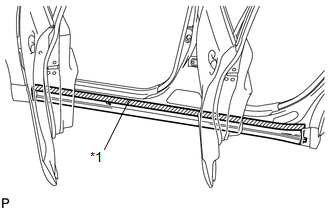 (f) Remove the 7 clips (rocker panel moulding clip). 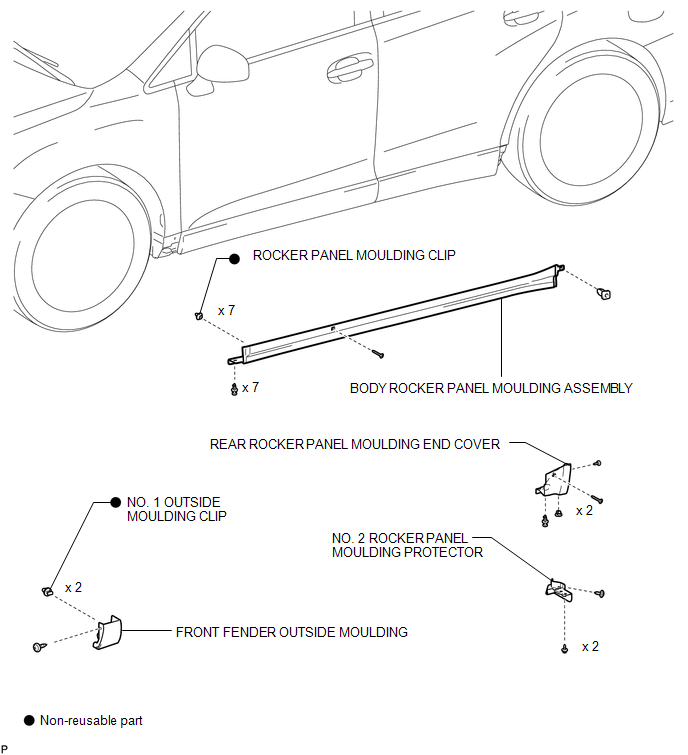 (a) Install 7 new clips (rocker panel moulding clip) to the body rocker panel moulding assembly. 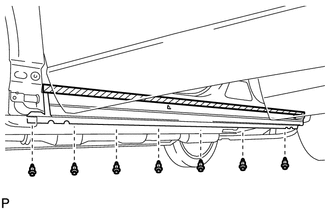 (b) Engage the 7 clips to install the body rocker panel moulding assembly. 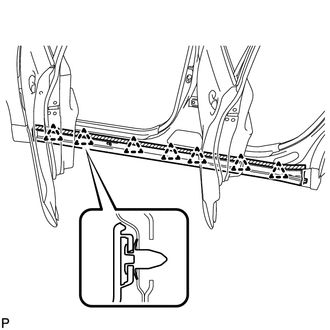 (e) Install the 7 clips.